Cola Hotel the result of a story a wonderful story we love to tell. It all started at the beginning of the 50s in the aftermath of WW2 amidst poverty and big dreams. Vittorio, like many young guys who were living in that era, decided to leave Romagna to find employment in Germany. Little money, a language he could barely master, far from home … like many of his countrymen, he found a job into the restaurant industry. As time went by, he made his way and luckily, but deservedly too, started working in Europe’s most prestigious hotels and restaurants. One of these was the well-known BaurauLac Hotel in Zurigo. 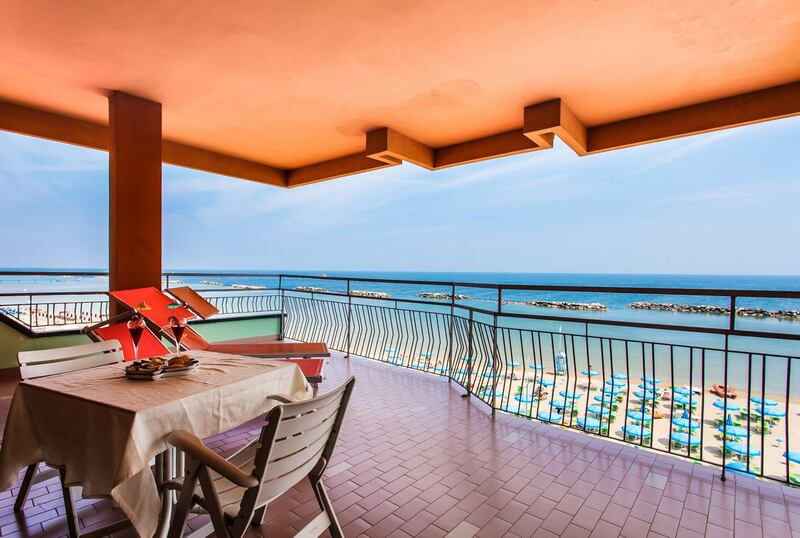 The expertise he acquired in these beautiful places was never lost, and Vittorio could get back to his beloved Romagna and start, together with his sister Natalina, his lifetime adventure: opening a brand new seaside hotel in Bellaria, his hometown. He chose a family ground used to cultivate potatoes and vegetables as location, directly by the beach. But Cola Hotel was not born as we see it today: initially it only featured 13 rooms. Over the years, the hotel was extended twice and underwent a number of renovation works which transformed into the property it is nowadays: around forty rooms, 6 of which with seafront balcony and others with a side balcony, but almost all with sea views. 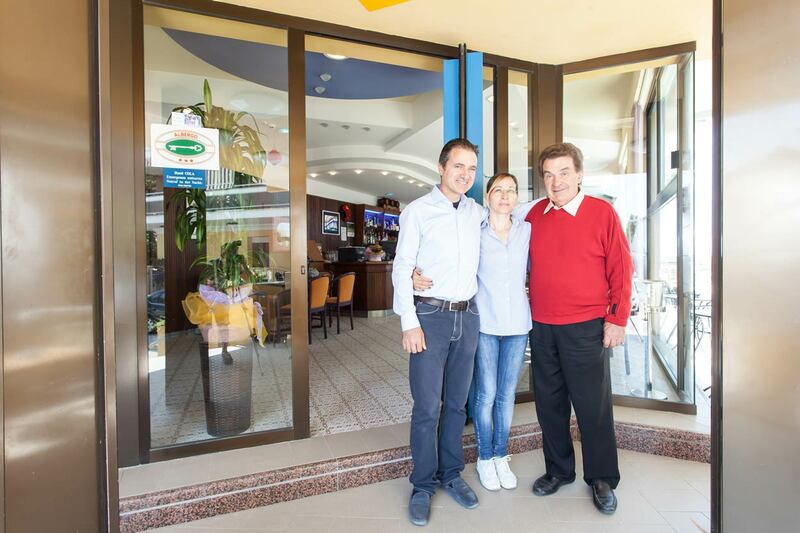 It all started because of Vittorio, supported over the years by Aldo, his right hand-man, not to mention Annamaria, lively and spontaneous, who daily takes care of all the details concerning customer assistance. A united family, a winning team … ready to welcome you as best as it can, since your arrival!